Welcome to the Inn BTween Bed & Breakfast nestled in the hills of the Finger Lakes in between Cayuga and Seneca Lakes. We are located about 10 minutes from Ithaca, 20 Minutes from Watkins Glen and only 5 minutes from Trumansburg, NY. 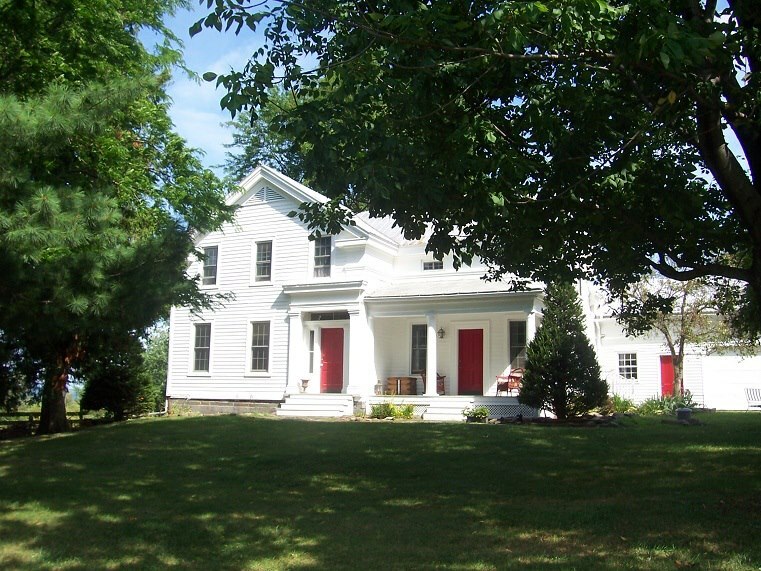 Our 1848 Greek revival farmhouse has 5 country-style rooms with king, queen, and twin size beds. Breakfast, made from our homemade jams, granola, and maple syrup, as well as our own fresh farm eggs, produce, and many other local ingredients, can be enjoyed in the dining room or on the patio. Hiking, boating, swimming, wine tasting, NASCAR auto-racing, music, and live theatre are just a sample of fun attractions to see and do nearby. We are also 30 minutes or less away from some of the region’s most beautiful state parks and waterfalls. See more on our Around the Farm page. Copyright 2016 Inn BTween. All rights reserved.